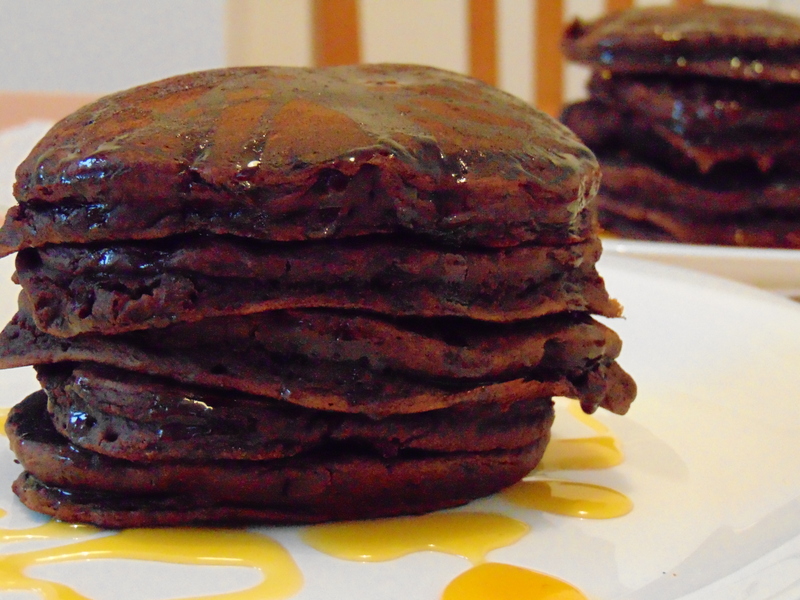 These are the perfect pancakes. Perhaps you can spot that they’re not so perfect, but it’s definitely not the fault of the recipe. I bounced out of bed bright and early, ready to get these pancakes on the go. When I flipped the first one, I saw that it was covered in black marks from the coating of the pan chipping away. Not to worry, because we have a spare frying pan. Alas, it was not non-stick, and the first pancake ended up more like a scramble from where I was scraping it off the bottom in my attempted flip. So, eventually, the mixture ended up in the oven and made like a tray bake. It looked weird, but it was delicious, which I suppose is the main thing. The next week I picked up a fancy new non-stick frying pan and tested it out on these peanut butter waffles, made as pancakes. The batter seemed a little thick for pancakes, so I thinned it out with a little more milk. They cooked really quickly and easily (possibly thanks to the pan, which was a definite upgrade), and the peanut flavour was just perfect. A real breakfast treat. Dr HH gave the pancake treatment to the gingerbread waffles, and they were also good. He wasn’t very happy with how he cooked them – the dark colour of the batter makes it a bit more difficult to judge the cooking – but the result was pleasing. The molasses gave it a slightly harsh taste, but the spices were lovely and it was another excellent breakfast. 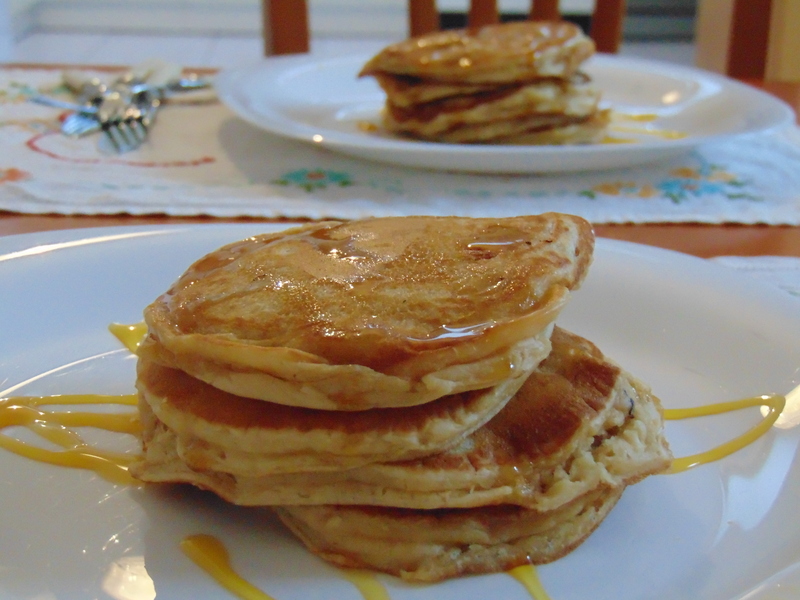 This time the batter seemed too thin initially, so he added quite a bit more flour to give it a good pancake texture. I don’t really know much about purchasing vegan beer in Prague, so I made the chocolate and beer waffles as pancakes with extra milk, rather than beer. 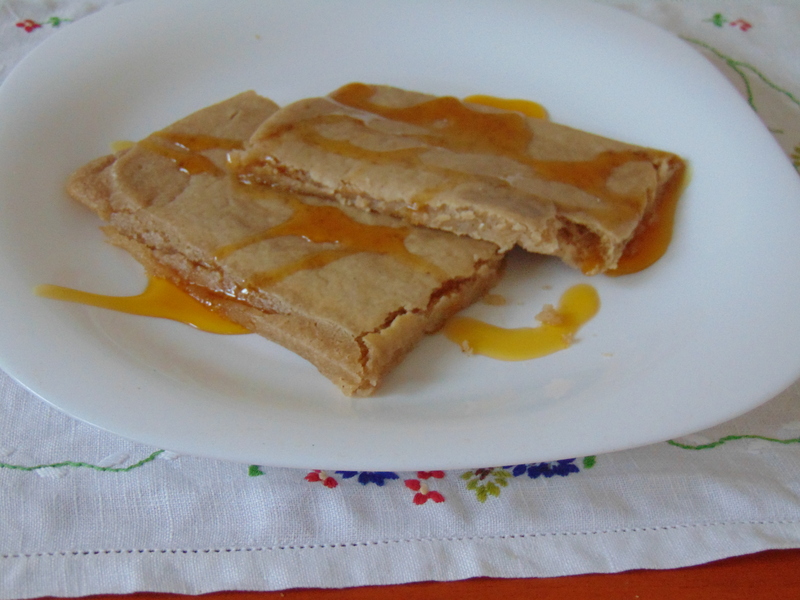 They turned out really thick and delicious – almost like eating actual cake for breakfast. I’m going to keep this as my decadent breakfast choice. 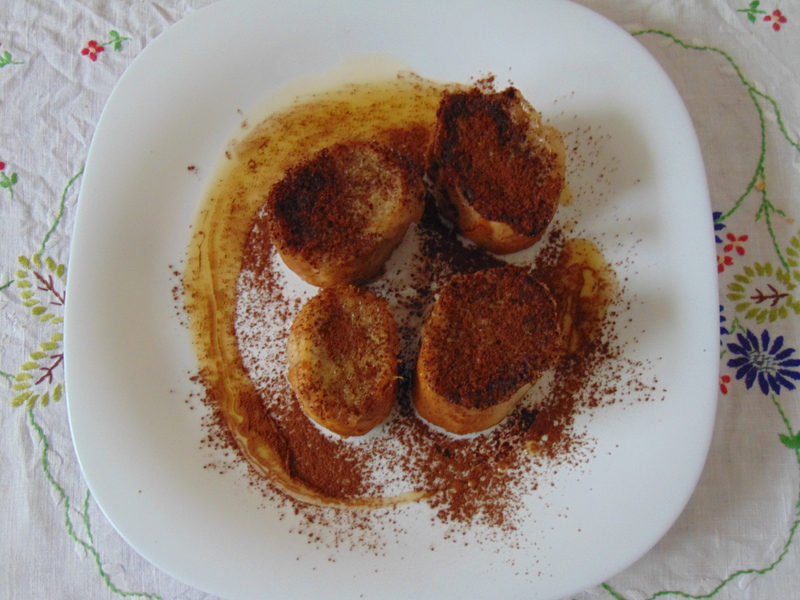 The banana rabanda (Brazilian French toast) sounded too exciting to pass by. It was easy to make, though there was 20 minutes of soaking time to factor in (not active cooking time, but still – I don’t like waiting for breakfast!). Dr HH was confused by the lack of bananas on display, but in fact they’re blended into the milky custard for soaking. The flavour definitely comes through. 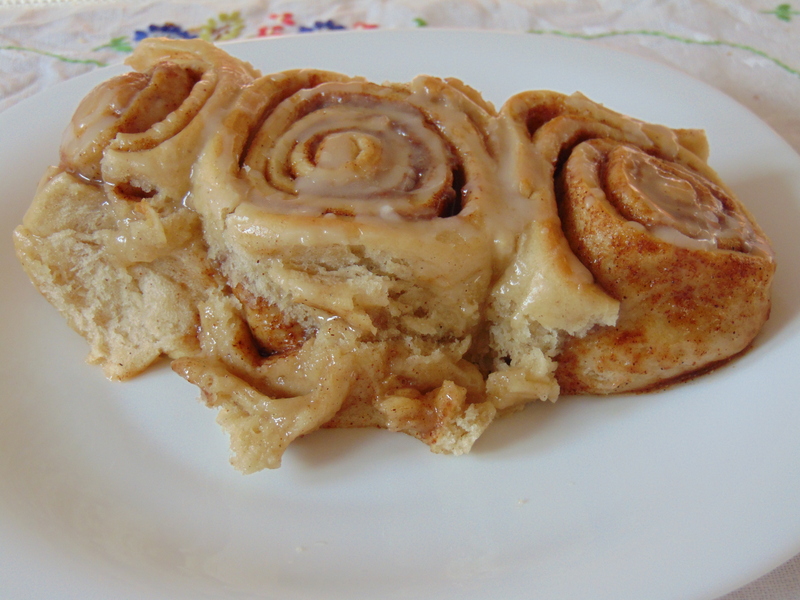 I’ll make this again – it was especially nice with the serving suggestion of cocoa/cinnamon dusting and a swirl of maple syrup. 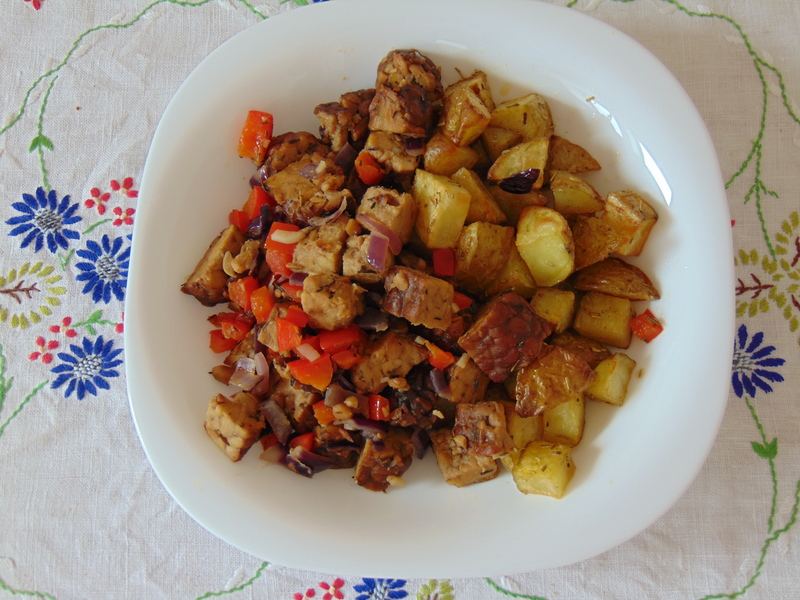 I combined the basic scrambled tempeh with the rosemary and paprika roast potatoes. It amuses me that Americans think of roast potatoes as brunch food, whereas Brits think of them as Sunday dinner fare. The roasties were good and crispy, and I like that there are lots of variations suggested in the book. The tempeh was fantastic! I steamed it first, because I find tempeh quite bitter otherwise. 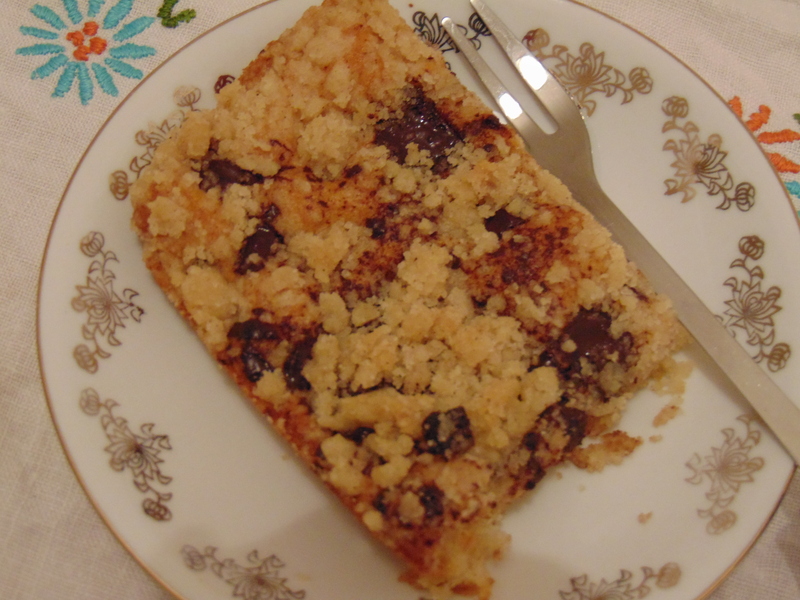 I tried to crumble it a bit too, to get that scrambled texture. It was flavoursome and good. 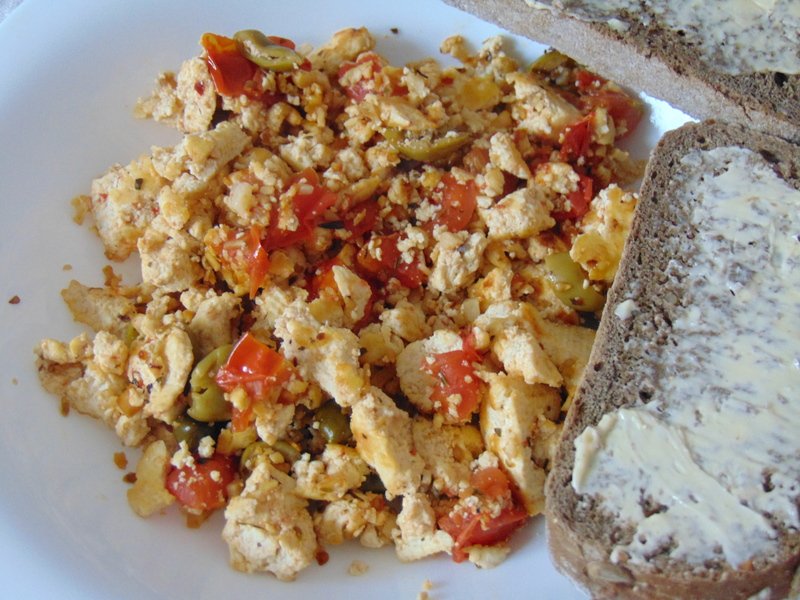 The puttanesca scramble was a nice variation on our usual tofu scramble. The olives and capers brought some nice pockets of flavour, and it was nice and easy to throw together, even in a sleepy state. Mom’s morning casserole took a while to assemble, but was definitely worth the effort. It consisted of a layer of thinly sliced potato, creamy tofu, crumbled fennely tempeh and a good savoury cheese sauce. I wasn’t really thrilled with the texture of the cheesy sauce (it could have been thicker), but I can’t complain about the taste – it was excellent! The dish as a whole was extremely filling and really tasty. I would never think of risotto as brunch food, so we had this fennel risotto for dinner. As Isa suggested, I topped it with smoky shiitakes, which really elevated it. 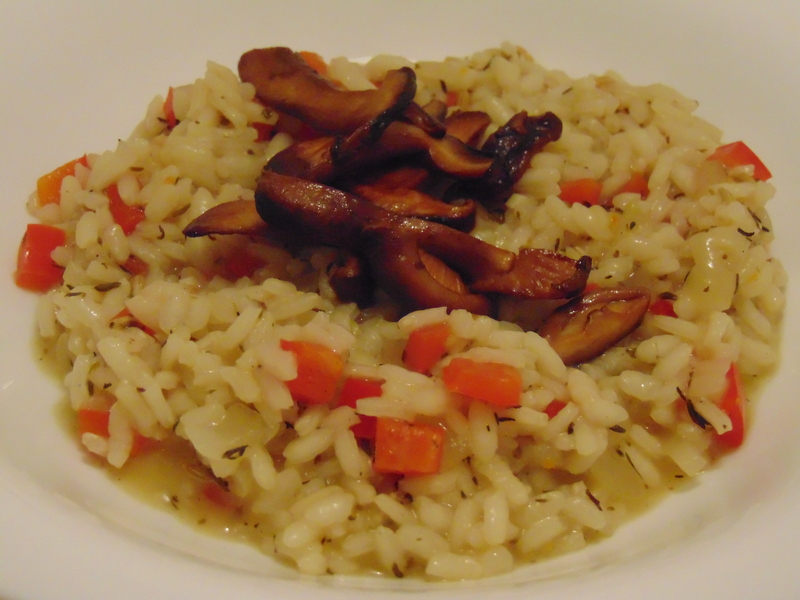 The risotto was lovely (I do like fennel seeds), and it was a really flavoursome dish. I followed Isa’s recommendation, of course, and served the samosa mashed potato pancakes and curried cauliflower frittata together. They were both a little problematic. 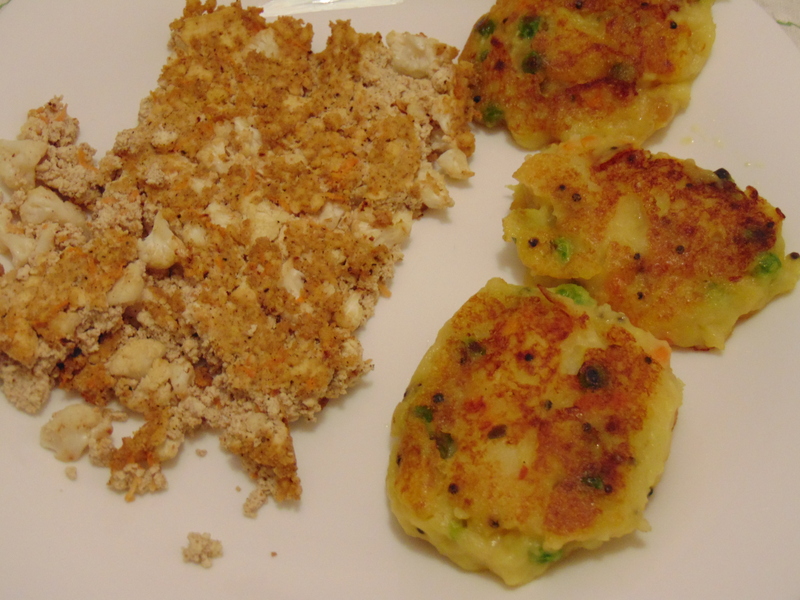 Despite all the flour I added and the 24 hours to set in the fridge, the potato cakes were still a bit too sloppy. They tasted delicious, but were a little oily. The frittata was excellent, but the texture was a bit too crumbly, which is a problem I consistently have when following American recipes that call for extra firm tofu and want me to turn into something ricotta-like. Maybe European tofu is too firm, because it’s just impossible to get a smooth, creamy texture. I felt like silken tofu would have been more successful. The taste was spot on though, and it held together reasonably well. I did a bit of baking too, though not for breakfast, alas. The East Coast Coffee Cake is mercifully coffee-free: it’s just meant to be an accompaniment to the hideous hot beverage. There are a few varieties suggested in the book, and I went for chocolate chip, unsurprisingly. We only had granulated sugar in, which made the crumble a bit too grainy, so definitely follow the sugar recommendation in the recipe. Nevertheless, it was delicious. And some more baking, this time actually for breakfast. 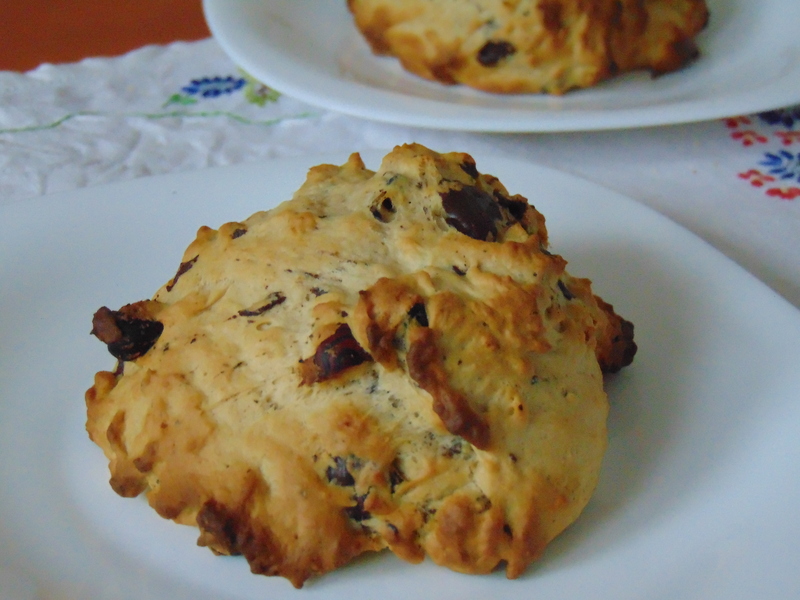 I added hazelnuts to these chocolate chip scones, and they were very good indeed. I had to put a bit more flour in to get the dough to resemble what a British person would consider a scone dough, but it still wasn’t suitable for rolling out, hence these wild shapes. But they were hearty and especially delicious fresh from the oven on a gloomy autumn morning. As I am a terrible bread maker, I always call on Dr HH to tackle any recipes involving yeast and kneading. 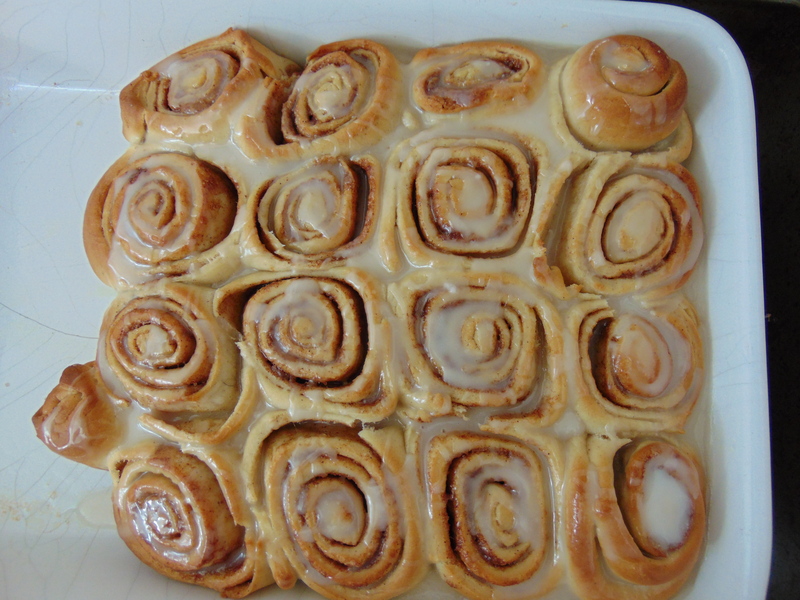 He turned his hand to these cinnamon rolls, and they were, unsurprisingly, delicious. He’s previously made the Minimalist Baker rolls, and said there wasn’t much difference between the two recipes in terms of ease and final result. I absolutely loved this book, and it’s one that I’m likely to dip into again as I enjoy treating myself to a decadent breakfast at the weekend. There are lots of recipes in there, and lots of simple variations which allow you to easily adapt things and make the dish a little bit different every time. Fellow breakfast fans, you definitely need to get your hands on a copy! 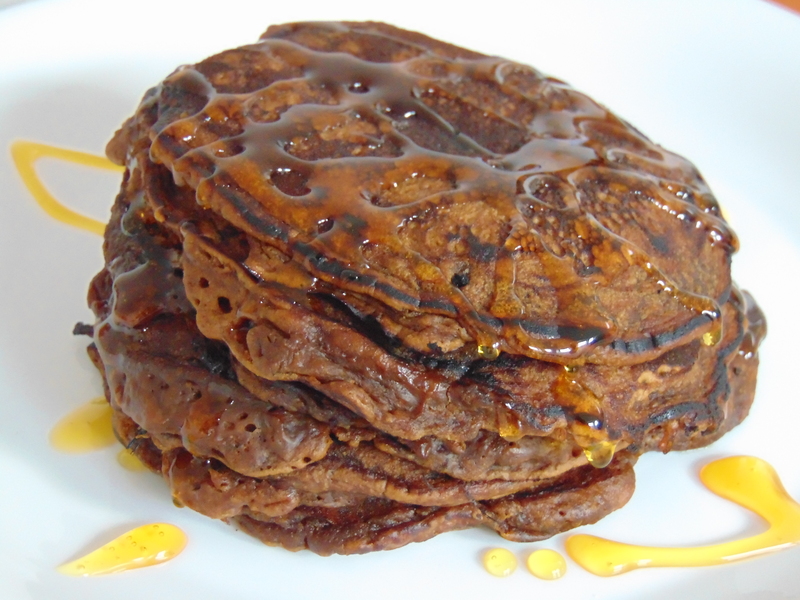 This entry was posted in Cookbooks and tagged Vegan Brunch, vegan cookbook, vegan cookbook review. Bookmark the permalink. 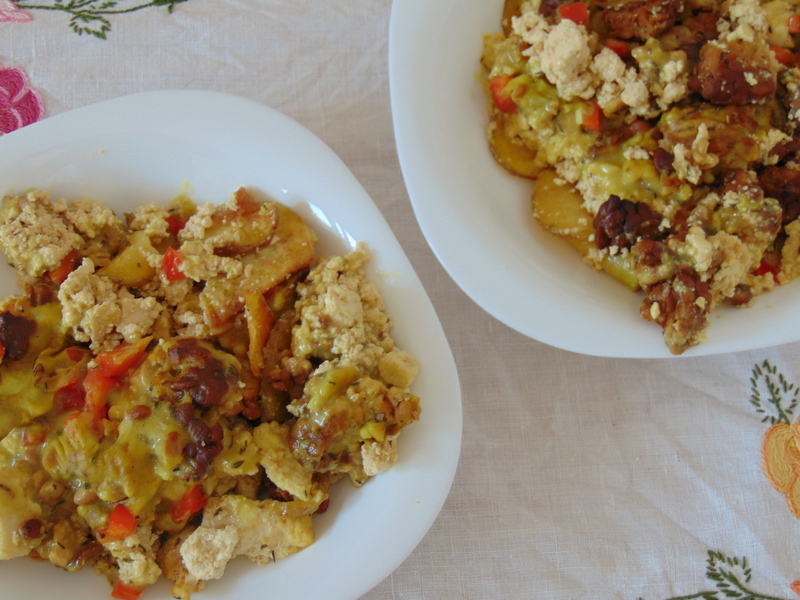 I’ve never made my own seitan, but I do eat a lot of tofu scrambles! I don’t think I’ve ever served it to someone who eats eggs though,so I’m pleased to hear how well received it was by your lot! I used to have this cookbook but I think I gave it away but seeing what you’ve done with it, I’m really surprised I could have parted with it. Everything looks great. I guess I’m a bit too lazy to make a decent breakfast – and clearly I’m missing out! I’m very much a morning person, so I’m usually up to the challenge of making a special breakfast. What a shame you gave it away! Vegan Brunch is a great book, everything I’ve made from it’s turned out really well. Have to try those gingerbread pancakes, don’t know how I missed them. They are listed as waffles, we just adapted them – maybe that’s why you aren’t remembering them. They’re definitely worth making! Ah, totally! I don’t have a waffle iron, I never thought to adapt a waffle to a pancake, thanks! Wow, this all looks amazing!!!! Oh my goodness, I have got to bookmark this page, because, it all looks delicious! I use gram flour batter to make a frittata, and it works really well. Just mix gram flour (chickpea flour) with water, to make a nice medium thick batter, and then add any other ingredients you like! And you can either fry it, or bake it in the oven. It doesn’t crumble at all.